Types Of Web Hosting | Everyting You Need To Know Before Buying! HomeSEOTypes Of Web Hosting | Everyting You Need To Know Before Buying! Types Of Web Hosting: If you are evaluating the different types of web hosting at your fingertips, the first thing that will shock you is to see a large number of free plans that exist. So, why pay? The truth is that free hosting is not recommended for a serious project not only because of the unprofessional image they give (with advertising and a generic domain name), but, mainly, because of the bad experience they offer users, with questionable reliability that generates numerous falls and maintenance stops. The free web hosting, in fact, is mainly intended to compare features and learn to manage the environment. That's why effective providers offer it as a test option for their premium packages. Below we have summarized the main types of paid web hosting, much more complete and safe than free, to guide you on the options available for your website or e-commerce. Shared hosting is the type of hosting recommended for most websites, especially those for personal use (blog type) and for SMEs. The website is stored on a server where there are other pages, so resources are shared, although each has its own space. It's the cheapest way to start. If the provider maintains a healthy slack in the server, your website can receive a high amount of traffic, more than enough for the vast majority of cases and even for exceptional peaks. The servers of the quality providers will hardly be out of service 0.1% of the time so that your website will be available 99.9% of the time. If you do not choose a quality provider, your website or online store may have problems of slowness and availability, since there are many unprofessional companies that recharge their servers and can not cope. In this type of hosting, whose name comes from the acronym in English " Virtual Private Server " or private virtual server, the website is stored on a server that has been divided into smaller servers, so that each works as if outside your own machine and you can have your own operating system. Greater control over the server. You can install any type of software and run it with the selected operating system. Actually, this type of hosting is designed for experienced users or for those who have to install particular programs that are not included in standard shared hosting. A managed virtual server can also be hired. In the dedicated hosting, a server is reserved exclusively for a single user, who is responsible for the maintenance of the said server. Availability of 100% of disk space, CPU, RAM and monthly transfer of the contracted server, which generates a higher loading and unloading speed of the pages. Greater capacity to absorb traffic, since all the bandwidth is available. A considerable increase in the monthly rate. Requires knowledge of server management or you must hire a server administrator. 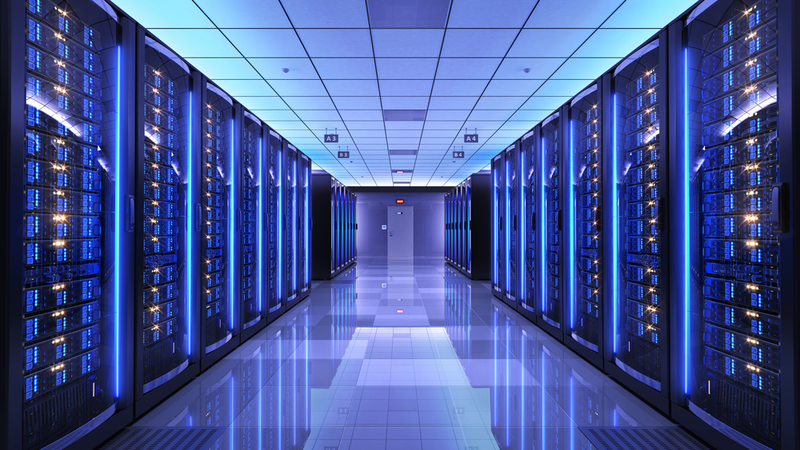 It is also possible to hire a managed dedicated server. Web hosting "cloud" combines traditional hosting with technology "in the cloud", because it distributes information on several servers around the world, which increases the security and response time of applications for users thanks to the geographical redundancy. It also increases the flexibility to expand the web in the future, since it makes it possible to resize the server without having to migrate data or applications. However, compared to shared web hosting, this type of hosting is considerably more expensive, so it is usually reserved for electronic stores with a lot of traffic. The hosting for websites created with CMS and applications such as WordPress, Joomla! Prestashop or Magento is a service that goes beyond the usual hosting since it conforms to the characteristics of these applications. As they are optimized accounts, they save you complex tasks such as installation, maintenance, and security of such applications. A very interesting alternative is offered by Nominalia, where you will find pre-installed web hosting packages in WordPress, Joomla, and Prestashop in which you will administer the application with cPanel, in addition to having a domain, five email accounts and much more. We hope that this summary of the types of web hosting, its features, advantages, and disadvantages will help you choose the most suitable web hosting plan for your web or e-commerce. If you have any questions, do not hesitate to contact us, you will find us on social networks!